New home sales posted a slight gain in October after downward revisions for prior months, according to data released by the Census Bureau and HUD. Sales of new single-family homes were up 0.7% over a downwardly revised pace for September. The October seasonally adjusted annual sales rate came in at 458,000. This is 1.8% higher than the October 2013 sales rate. Inventory of new single-family homes for sale rose to 212,000, which marks a 5.6 months’ supply at the current sales rate. 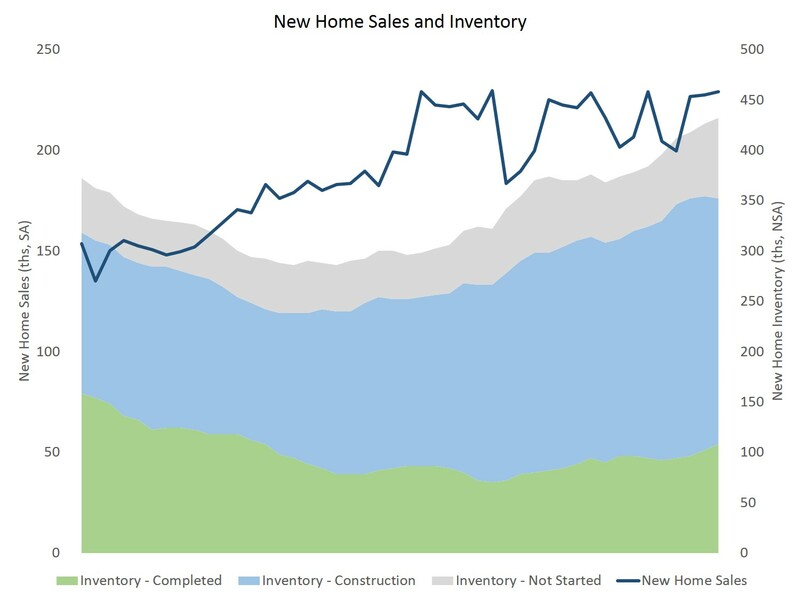 Consistent with the rise in builder confidence, as reported by the NAHB/Wells Fargo Housing Market Index, home builders are increasing inventory as the market continues along a path of gradual recovery. The for-sale inventory of homes under construction fell to 122,000 in October, while the count of homes for sale that have not begun construction experienced an increase to 40,000. Completed, ready-to-occupy new single-family homes totaled 54,000 for October, which remains low by historical norms. The median sales price of new home sold in October was $305,000. which was a significant increase over September. However, the rise was due to the mix of homes sold, which saw increases for price ranges above $300,000. The rise in sales price is thus similar to the rise in single-family home size, which reflects ongoing weakness among first-time buyers. NAHB expects the gradual recovery in single-family home construction and sales to continue into 2015 as employment growth helps unlock pent-up housing demand.